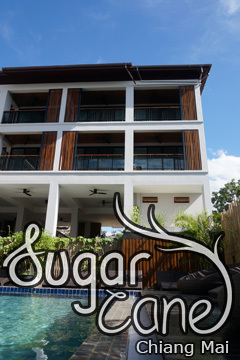 Tamarind Village Hotel - Old City, Chiang Mai, Thailand - Great discounted rates! 8.9 out of 10 based on 1110 verified user reviews via Agoda. The 4-star Tamarind Village Hotel offers comfort and convenience whether you're on business or holiday in Chiang Mai. The hotel offers a high standard of service and amenities to suit the individual needs of all travelers. Take advantage of the hotel's Wi-Fi in public areas, car park, room service, airport transfer, babysitting. Some of the well-appointed guestrooms feature television LCD plasma screen, slippers, towels, closet, separate living room. To enhance guests' stay, the hotel offers recreational facilities such as outdoor pool, spa, massage. For reliable service and professional staff, Tamarind Village Hotel caters to your needs. Children under 13 years old will be charged THB 271 for breakfast when using existing bedding.,The maximum number of extra beds permitted in a room is 1.,A maximum of 1 child is permitted to use existing bedding in a room.,Breakfast is served from 7:00 AM to 10:00 AM.,Lunch is served from 12:00 PM to 1:30 PM.,Dinner serving time starts at 6:00 PM.,The room rate on December 24, 2018 and December 31, 2018 is inclusive of gala dinner for 2 persons. Any additional guest is subject to an additional charge.,The outdoor pool is undergoing renovation from October 1, 2018 to October 31, 2018. There will be some areas affected by the noise from 10:00 AM to 05:00 PM. For further queries, please contact the property directly. Tamarind Village Hotel - Chiang Mai classifies itself as a 4 star hotel.